To lead and empower families and the fatherless to become a catalyst for Christ-centered cultural revolution throughout Honduras and to the world. The Corbin family has been serving in missions since God called them into full-time ministry to marriages and families in 2008 with FamilyLife, a ministry of Cru. Now missionaries with CTEN, they have been living in Honduras since 2015, where they reach out to Honduran children and families in a variety of ways. 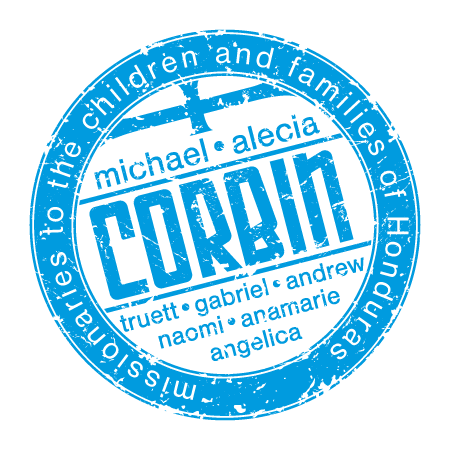 Much of the Corbins' ministry focuses on building relationships in order to encourage nationals to serve God, especially through orphan care and developing godly marriages and families. They are also supporting local ministries and community development projects, as well as other missionaries serving in Honduras. Michael and Alecia have been married since June of 1995 and have six beautiful children. Two of their children are by birth and four were added to their family though foster care and adoption. They, too, are called to help equip families to raise godly children that will impact future generations for Jesus Christ! A significant goal of ours is to develop transitional homes for youth that are far away from the gang-ridden and violent cities of San Pedro Sula and Tegucigalpa. Here, young people that have surrendered their lives to Jesus will be discipled, educated, and offered an opportunity to work and learn valuable trades. Our hope is that these men will go on to lead godly families, and that many of them will become missionaries to the people around them. Please pray that God will continue to open doors of opportunity, whether that be group homes that we create or Christian families within local communities that will open their homes to minister to these youth.